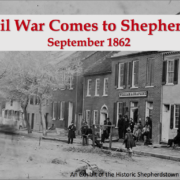 We have a new exhibit in the Museum — it’s called The Civil War Comes to Shepherdstown, September 2017. If you attended Jim Broomall’s Speakers Series talk a week or so ago, you may have seen it displayed in the lobby of the Byrd Center. 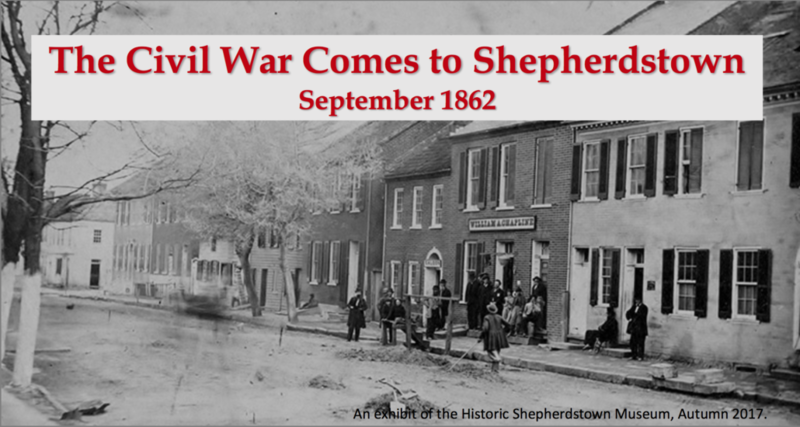 You can view the digitized version here or stop by the Museum and see it in real life!